Buy all four safeguarding solutions and save an average of 26%. Receive unlimited new user licenses as well as free access to new products launched during the length of your contract. 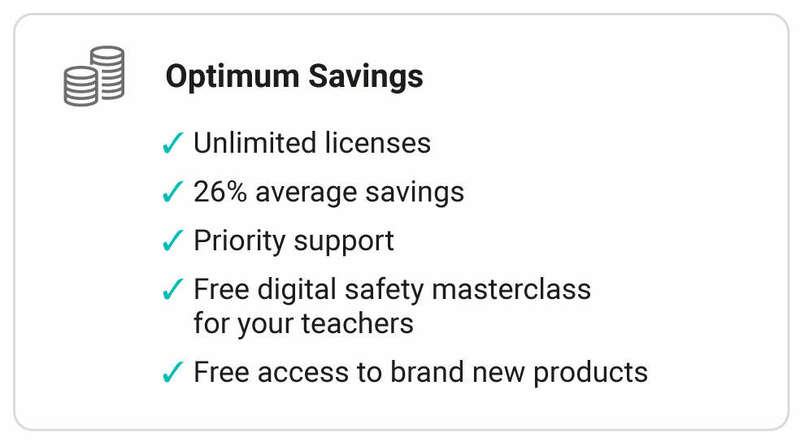 What’s more you’ll receive priority support and a half day safety masterclass for your teachers and staff, run by our digital safeguarding experts. 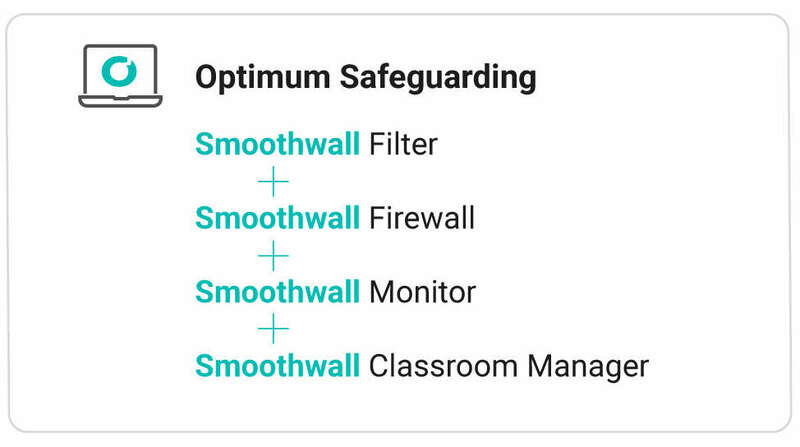 Deployed together, Smoothwall Filter, Firewall, Monitor and Classroom Manager give your organisation end-to-end digital safety. They help prevent harmful content before it’s seen, predict incidents before they become real, and ensure students leverage the full benefit of internet learning without losing focus. Deploying all four solutions provides clear evidence to Ofsted of a robust, highest quality, digital safeguarding provision. As a Smoothwall Optimum customer you’ll have one dedicated digital safeguarding provider, one vendor contract to manage, one point of contact and one support team taking care of your organisation’s entire digital safety provision. That means less admin, less hassle, optimum protection and maximum benefits. A complete solution to keep your students safe, your school compliant and your budgets on track.